To address this problem, in 2015 a team of researchers, including Keiichi Kakui, a lecturer at Hokkaido University, and Megumu Tsujimoto, a postdoctoral researcher at Japan's National Institute of Polar Research, started researching marine specimens stored at the institute, as well as newly collected specimens. 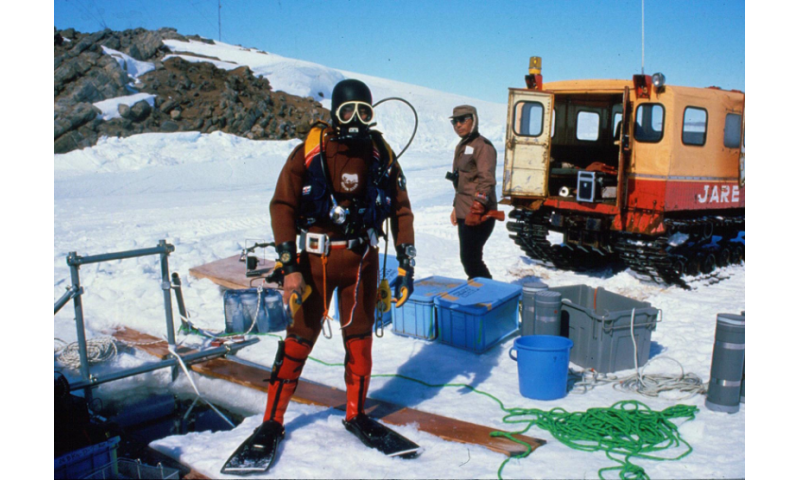 As a part of this process, they conducted microscopic analyses to examine two annelid worms that scuba divers collected 8-9 meters deep on January 16th, 1981, at Nishinoura near Syowa Station. 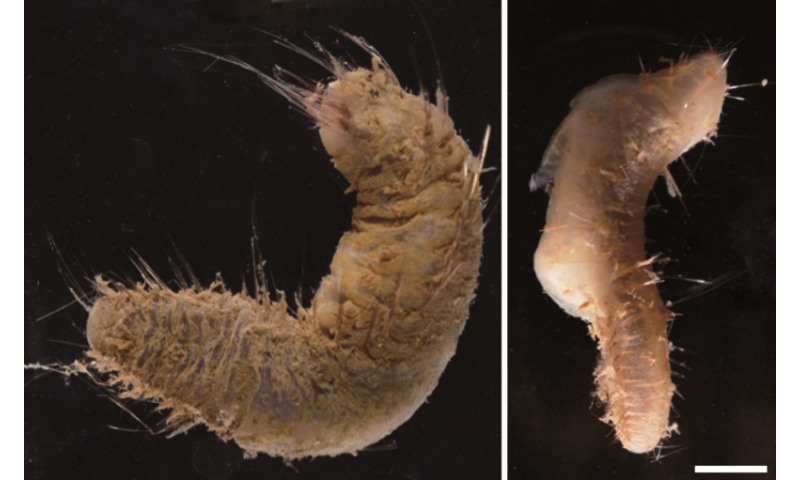 The worm found 9 meters deep turned out to be a new, unnamed polychaete - a variety with a thick, gel-like coat and conspicuous, long notochaeta. The team named the new species Flabegraviera fujiae, taking after the icebreaker ship "Fuji" used in the expedition in 1981. The specimen collected 8 meters deep was recognized as Flabegraviera mundata, and was deemed to have been collected at the shallowest depth ever recorded for the Flabegraviera genus. "This study is a major step forward in understanding marine life in the coastal region near Syowa Station," says Dr. Keiichi Kakui, "The Flabegraviera genus, to which the three species belong, is unique to the Antarctic and considered a good example for studying how polychaetes adapt to extreme environments."